Nao Serati is a contemporary athliesure brand based in Johannesburg, South Africa. 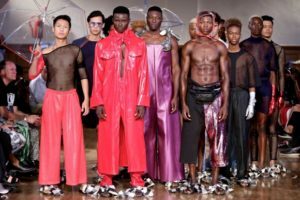 Founded by designer Neo Serati Mofammerein 2014, the brand specialises in unisex garments that explore the margins of gender and sexuality, while bearing in mind their South African heritage. Nao Serati is all about a dialogue which asks, dissects and often subverts what it is to be a man or a woman in modern-day Africa. 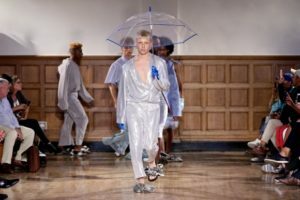 Neo Serati, a LISOF graduate, says of the brand, “My clothes are informed by South African youth culture, picking up on all the visual cues, the rebellious attitude and the spirit of innovation”. Merging conceptual fashion with a commercial air of democracy and accessibility is at the top of the brands agenda, “I enjoy partaking in fashion’s fluidity and its ability to swing between high-brow and lo-fi – and I think everyone deserves to enjoy it as well”. 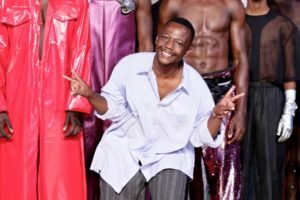 Nao Serati has shown at both Mercedez Benz Fashion Week Johannesburg and South African Menswear Week, the brand is enjoying attention across a variety of media and can be seen on the cover on Marie Clair South Africa April 2016. 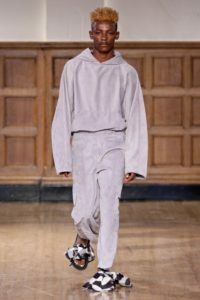 All content copyright SA Menswear Week 2014 - 2017.